Matchboxes are so cute, I love the old style paper board boxes especially when the matches are gone and you can fill them with little treasures. I haven’t had a real matchbox in a long time, I don’t think I actually have any matches in my house anymore. Lighters are our go to around here. But there is something special about storing tiny goodies in a cute little box. So I did what I usually do and made my own. 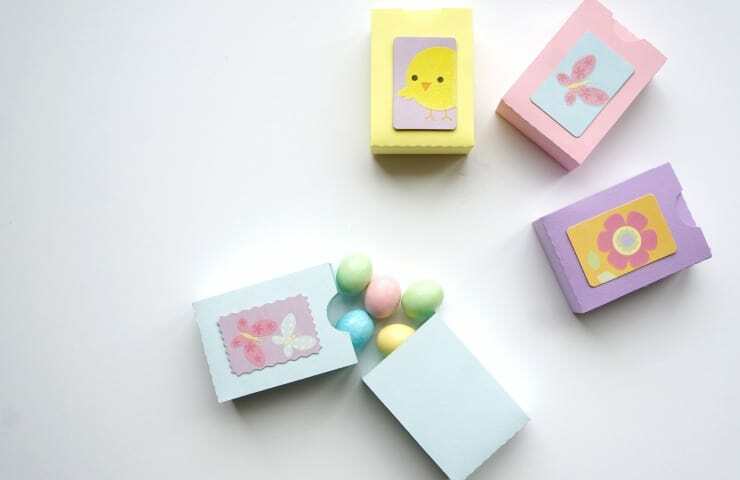 These paper matchbox Easter treats were so simple to create to with my Silhouette. Filled with chocolate eggs they make a delicious gift to add to an Easter basket. For this project I used my Silhouette and a design from the Silhouette store. Every week Silhouette offers a free design and I always download it. I have filled up my library with mostly free and discounted designs this way, this matchbox was one of them. I cut the design out of pastel card stock then followed the score lines to fold up and assemble my matchbox. It just took a little glue to put these together. 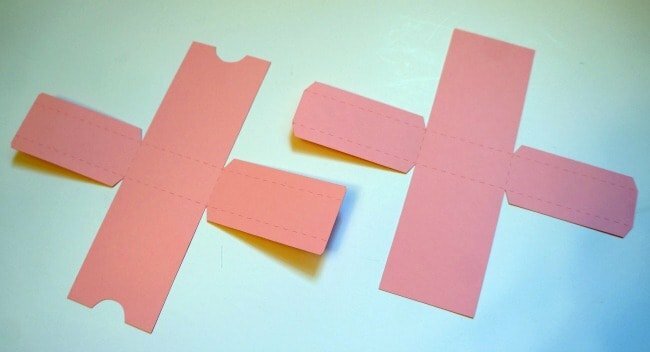 The matchbox comes in two pieces. I filled the inside with chocolate eggs, something everyone loves this time of year. Then I added some pastel colored Spring stickers to the outside of the box. 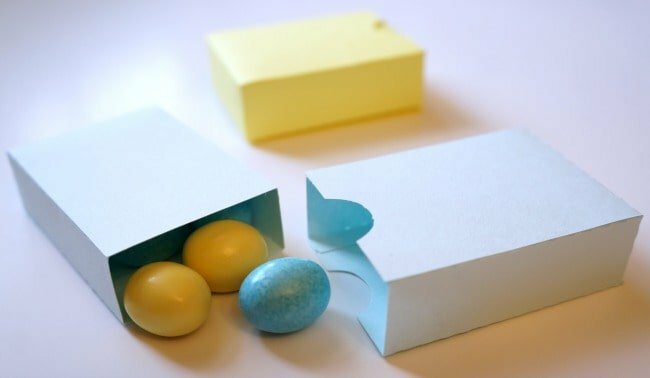 These paper matchbox Easter treats took only a few minutes to make. The matchbox design from the Silhouette store was ready to use, I didn’t even have to resize it. Once cut, I just folded it up, glued the sides and filled it with candy. 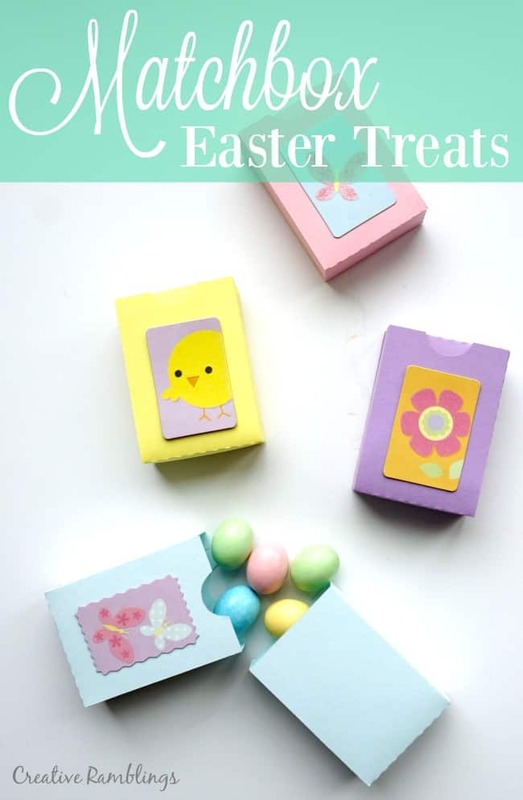 These paper matchbox Easter treats will be in my girl’s baskets this year, and I will be handing them out to some adults too. What would you put in your paper matchbox? what a cute little project! By any chance do you have on hand the ID # of the matchbox? I have never seen one like this and I’m intrigued (yes I did search the Silhouette Store but wasn’t able to find it). Thanks a lot! Marcella. I’ve had this design in my library for a while and it doesn’t have a number attached. The closest I could find in the store is Design ID #1152. It’s just slightly different but you can get a very similar result. Thank you so much for visiting!